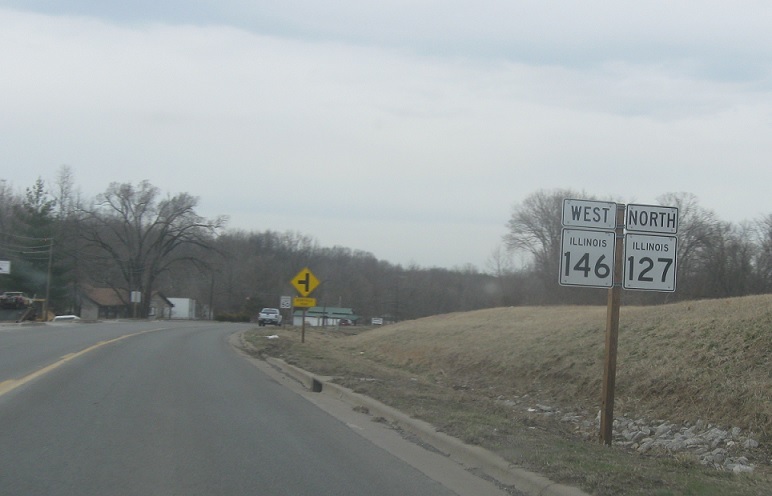 Reassurance shield as 146 joins 127. 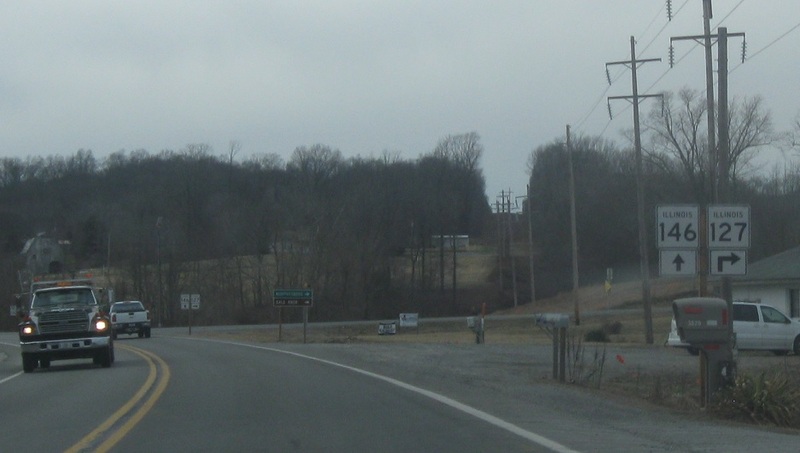 The two routes concur for a couple miles. 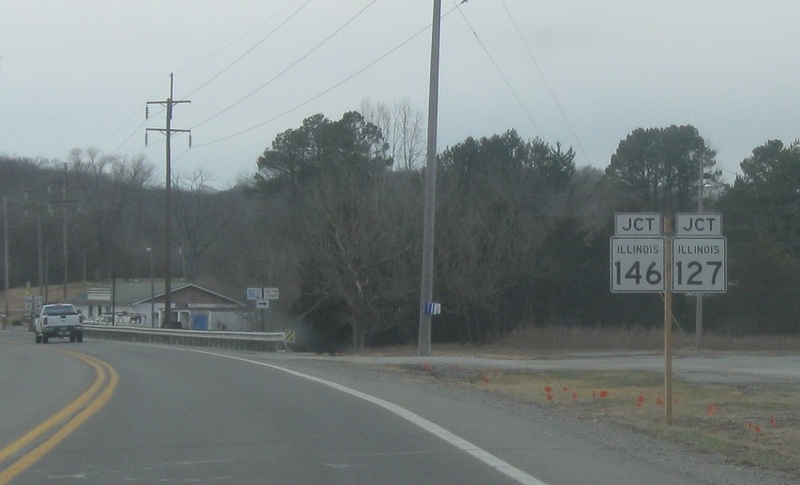 Reassurance shield as we head out of Jonesboro. Shortly thereafter, we’ll approach the route split. 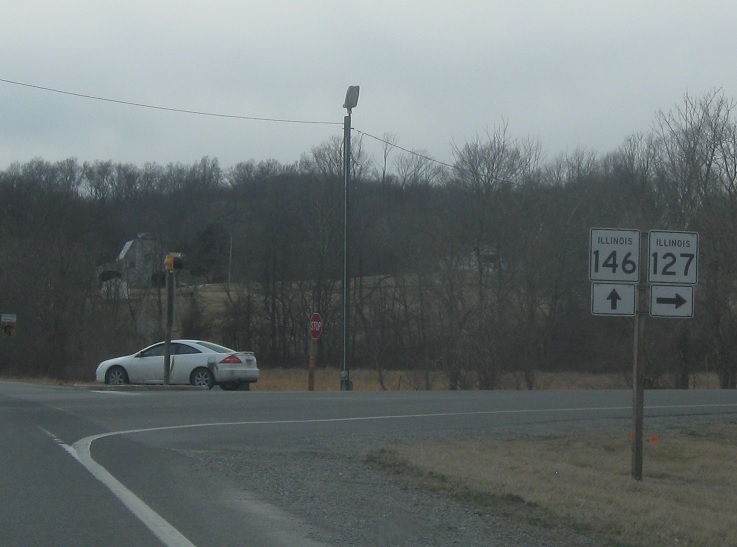 Stay straight for 146; turn right for 127. 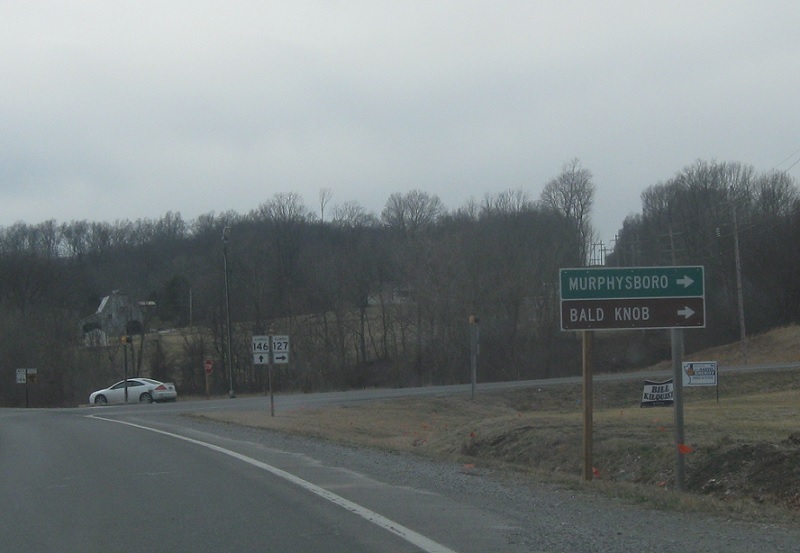 Follow 127 north to Murphysboro. 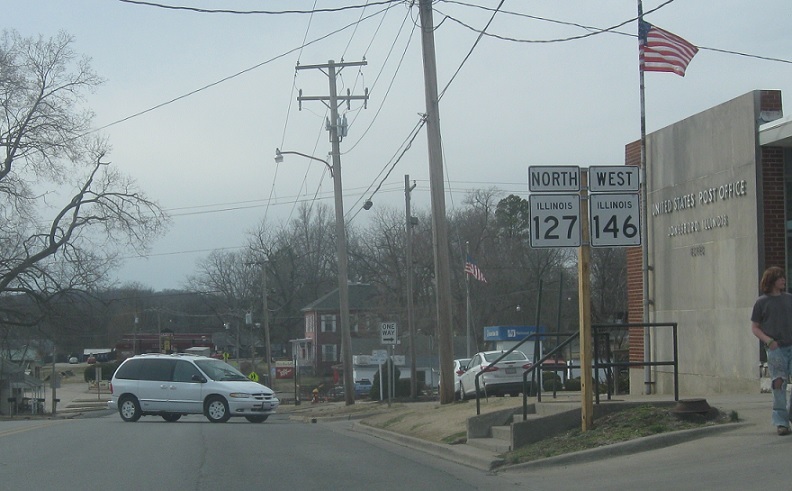 Turn right for 127 north.